*What would you be doing right now if you were not an author? *5 years ago: what were you doing? Pacing the house day and night with an infant. *Do you have a certain writing ritual? Yes. Before I write I like to go outside and take a walk. It helps to keep me centered. *What has been the toughest criticism given to you as an author? All serious criticisms are tough to take, but essential. I was once told that I had to write every day in order to be a “real writer”. It’s just not true. We all have lives outside of the workplace, so as a general rule I only write weekdays and leave the weekends free for my family. And for binge-watching my favorite TV shows…. *Ever fangirled over another author? Who was it? Yes! Absolutely! Kim Harrison. I was first in line to meet her an probably frightened her with my rabid enthusiasm. I couldn’t even form complete sentences, really. It was one long ohmygoshiamsohappytomeetyouIloveRachelsomuchandohmygoshIvyandnowtheEfl! *Is there an author you'd like to meet? Anthony Burgess. Yes, he’s dead, but WOW could he write voice. Not sure if this counts, but I hate the autocorrect function when I text. I know it’s a small thing, but I have panic attacks that one day I’m going to show up on that autocorrect fail meme! * Do you read other's reviews of your books? I try very hard not to read reviews. I firmly believe that finding the right book for you is like finding a pair of shoes. Not every shoe is going to fit everyone. So I appreciate that people have taken the time to read it and just keep moving on. Fictional Character you'd like to spend the day with? Tyler Durden from Fight Club. All the food. I love all of it. Nutella. Lots and lots of Nutella. Madeline Wynn holds a master's degree in procrastination. 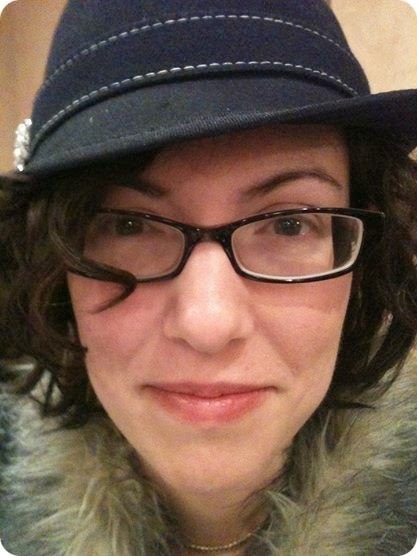 When she's not writing, she can be found ghost hunting, gardening and parading around her home state of Connecticut with her husband, dog and two kids. 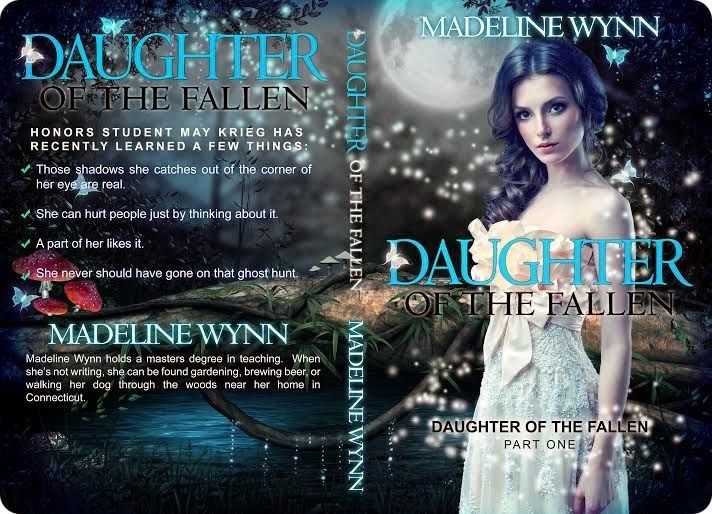 Her latest book is the YA paranormal, Daughter of the Fallen. Connect with Madeline on Facebook and Twitter. Most sixteen-year olds aren't worried about the fate of their immortal souls. May Krieg should be. Typically, honor student May's biggest problems have revolved around her super-hot arch-rival, Jack. But when a school project takes them ghost-hunting in a local cemetery, she discovers that an ominous force roams in the darkness around her. And it follows her home. It claws its way into her life, burning messages into her wall and imprinting them onto her body. Even worse, she can't tell if it's trying to possess her... or protect her. May's thoughts soon become actions, causing the target of her anger severe physical pain and giving her a rush the likes of which she has never experienced. She quickly realizes that she needs to find a way to reign in this power before she kills someone. May hates the pleasure it gives her, hates herself for hurting others, but she can't stop. As her entire world shatters around her, she is forced to ask what her soul is worth-- and who would she risk losing her soul to save? Madeline Wynn is giving away a $50 Amazon Gift Card! This giveaway begins November 3 and ends January 31. Winner will be contacted via email on Monday, February 2. Thanks so much for having me!! !